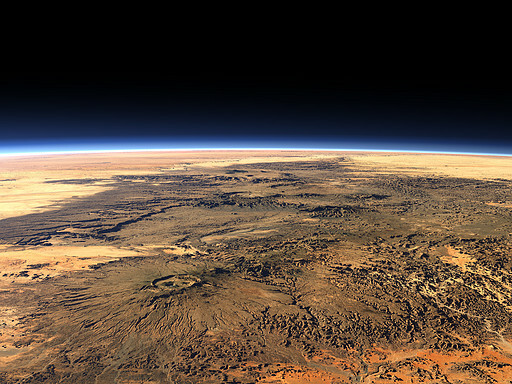 The Tibesti mountain range in the central Sahara at the border between Chad and Libya. The group of volcanoes is one of the most remote regions in Africa. The highest peak, the Emi Koussi (3415m) can be seen in the foreground left. Mars on Earth! 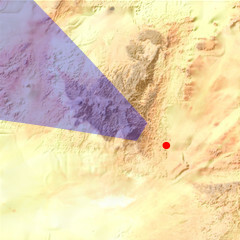 Hard to realize that any people are living there! Nevertheless a magnificent view. I teach Social Studies to sixth graders, a new course of instruction for me. I stand in awe, yes, of the planet and its grandeur but also of the graphic views of this planet my students encounter every day in my class. What gifts we give them!